Willamette Partnership loves to work alongside natural infrastructure champions inside water utilities–those individuals who see opportunity outside the box and are willing to evaluate, plan, and push for infrastructure solutions that work with nature, where it can be most effective. 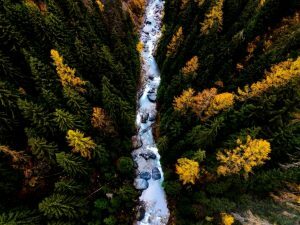 Those are the types of sustainable water management solutions that bring multiple benefits to the economy, public health, social equity, water quality, and wildlife. That’s why we’ve become interested in water utility workforce development issues. Alongside our partners at Portland State University and the Center for Sustainable Infrastructure, we are in the middle of a water utility workforce needs assessment – surveying over 200 utilities providing drinking water, stormwater, and wastewater services in Oregon and Washington. The survey was designed to investigate the critical barriers that water infrastructure providers face in developing and retaining a reliably qualified and talented workforce. As we wait for the results to come in (anticipated fall 2018), we are thinking about the menu of options to overcome those barriers. There are opportunities for improvement and innovation through the sharing of information. 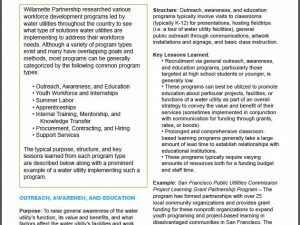 It’s pretty rare for a water workforce development program to provide public information on the design, intentions, and evaluation results. That makes it harder to learn from others and can lead to creating new programs for each individual utility, often from scratch. 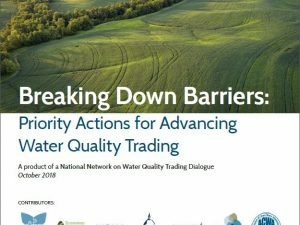 There is an opportunity to make it faster and easier to implement water workforce programs by sharing information and/or combining efforts to implement programs at a larger scale. Better information sharing would allow new programs to replicate best practices and lessons learned, aggregate funding and staffing sources to run these programs, and tap into a wider network of innovators and information. Check out the BayWork program being implemented in the San Francisco Bay area as an example of a regionalized workforce development program making use of the efficiencies that can come from water utility partnerships. 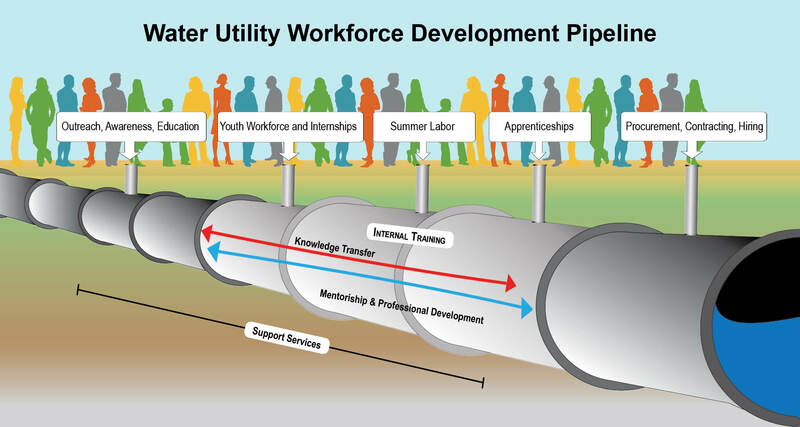 Workforce development programs led by water utilities offer a great opportunity to advance inclusion and equity. In one way or another, each of the programs reviewed here seeks to create a future workforce that can address the water-related issues facing its community. In doing so, there is an opportunity to intentionally design programs to improve inclusion and equity in the water utility sector. This will help create water utilities that are representative of, responsive to, and focused on the communities they serve. Building an inclusive and equitable workforce can help build a community-centered water utility that provides innovative solutions to deliver the most benefits to the people they serve. 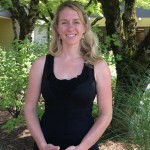 Through a better understanding of water utility workforce development programs, we can help shape an equitable, inclusive workforce that is equipped for the future and able to integrate innovative solutions, such as natural infrastructure, that are cost-effective and provide multiple benefits to both people and the environment. Once our survey results are in hand, we can pair concrete data about the challenges that Oregon and Washington utilities are facing with a menu of solutions compiled from around the country. We hope to share the results from the survey soon, so stay tuned and sign up to get updates about this work.